More than six tons of cocaine hidden in a shipment of bananas from Costa Rica were confiscated in Spain, hidden among bunches of bananas at an industrial estate in Malaga and arrested 16 people in connection to a suspected drugs ring, Spanish police said in a statement on Thursday. According to information published by Spain’s newspaper El País, the product came from Puerto Limón. The suspects were smuggling drugs from Latin America via a company based in Badajoz, Extremadura, dedicated to importing large quantities of bananas and other fruit from Costa Rica. The report said the company “sent and received up to 70 containers with fresh product in recent months. 🚩 Intervenidas más de 6 toneladas de cocaína ocultas en un cargamento de bananas🍌 en un polígono industrial de #Málaga. The investigation into the drugs ring lasted for almost a year and also involved Portuguese and U.S. officials, it said. 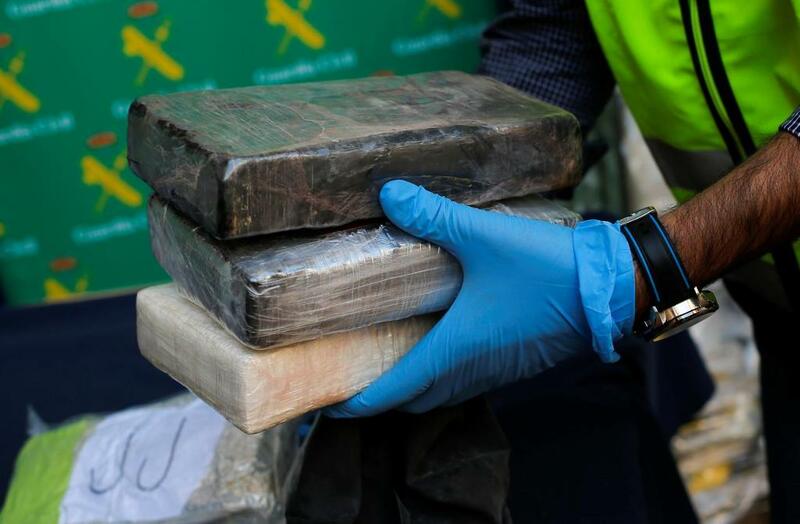 “After a follow-up of almost a year, agents of the Guarda Civil and the Policía Nacional made the arrests on Tuesday and seized 6,310 kilograms of cocaine (…) It is one of the largest caches of this drug ever apprehended on land in Europe and whose market value could have exceeded 1 billion euros (US$1.15 billion),” said the Spanish newspaper. The criminal group used a company that imported fruit from Costa Rica as a front for their operations, authorities said. The cocaine was hidden among the boxes of bananas that arrived at the port of Setúbal, in Portugal, and was transported by truck to Málaga, Andalusia, to the south of Spain. 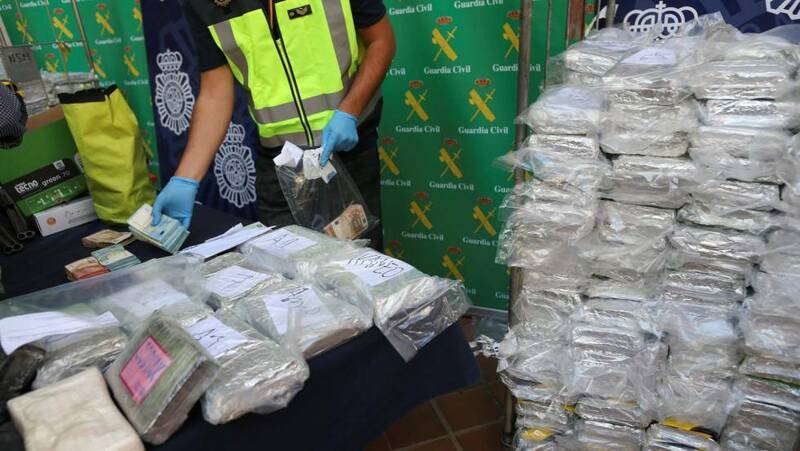 The police operation allowed to dismantle a network of drug traffickers constituted “by well-known Dutch criminals settled in the Costa del Sol”, in the Spanish south, specialists in introducing cocaine to Spain and Holland, according to the police statement. Some of them were considered “priority targets” authorities in the Netherlands. The drug arrived in Spain “hidden in a shipment of bananas,” the police explained, without giving further details. “Those arrested hid their drug trafficking activities in a company that imports large quantities of fruit from Costa Rica,” he added. Through a communiqué, Costa Rica’s Corporación Bananera Nacional (Corbana) – National Banana Corporation – regretted the event, although it said it was unaware of more information about the case. “Banana producers have always been in the best position to support the authorities to clarify any situation related to drug trafficking in the containers that transport fruit,” the organization said. According to Corbana general manager, Jorge Sauma, in the process of exporting bananas, very strict security protocols and controls are followed. “Regrettably, we see the need to double the measures with the Ministry of Security and the producers,” Sauma added. Hiding drug in shipments of bananas is a habitual practice of drug traffickers. In May 2017, more than one ton of cocaine was seized in Colombia, concealed in a container with fruit, when it was to be exported to Europe. Costa Rica’s Minister of Public Security, Michael Soto, said through a video that the Spanish authorities had informed them of the seizure before it became public news. Although he acknowledges that the drug came from Limón, according to the information, Soto said that it is not clear that the fruit is from Costa Rica. Costa Rica’s Puerto Limon is a transit port. “What we are trying to establish, in conjunction with them (Spanish police), is if that container came in transit through the country,” according to the research they developed for more than a year, establishing that other containers with a similar product had also been seized from countries in South America, such as Colombia. “It’s a pretty elaborate network. The research, in coordination with countries such as Portugal, Spain and the United States, today gives this important and positive results,” he said. According to Solo, the “overwhelming amount of cocaine” shows that there is overproduction, in South America, as they have warned. In Costa Rica, Soto recalled, 28 tons have been confiscated so far this year and he estimates that more will arrive before the end of the year, reaching “historical records”. Months ago, pineapple producers recognized the concern for the constant drug discoveries in Costa Rican pineapple that occurred in Europe and the United States. Abel Chaves, president of the Cámara Nacional de Productores y Exportadores de Piña (Canapep) – National Chamber of Producers and Exporters of Pineapple – emphasized the damage caused by these criminal acts in the image of the Tico product. In August a total of 245 kilos of the drug was detected in three shipments arriving at ports in the United States and Spain. Another shipment was destined for Ireland. “The damage they are doing not only to the country because of the image, but also to the sector is big”, Chaves said at that time. Previous articleCosta Rica Is For The Birds. And More.